My return visit to the Southwest Washington Watercolor Society in Vancouver is set for October. On the 5th I’ll be judging their Annual Fall Art Show to be held at Vancouver Mall. Then on Tuesday, October6th – Thursday, October 8th I’ll be conducting a workshop focussing on putting children into paintings. On the evening of the 6th, I’ll also do a brief talk about the show and the winning paintings. I’m looking forward to seeing some familiar faces and to meeting new friends. 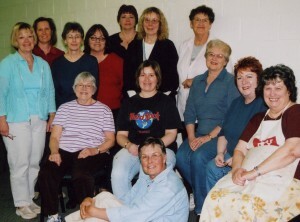 This pic is from my 2007 Spring workshop in Vancouver.